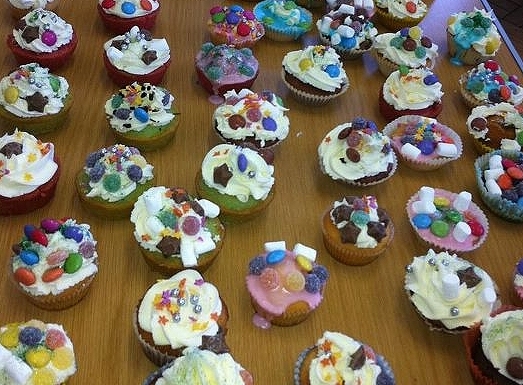 The last Friday of every term is known as Fairy Cake Friday when a class at a time has a go at decorating and selling fairy cakes. 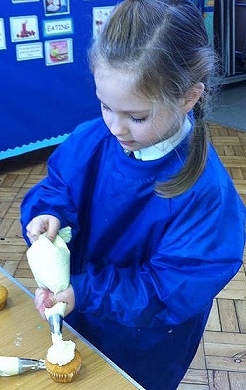 Today it was Class 2’s turn to tempt us with their skills under the watchful eye of Mrs.Yasar. 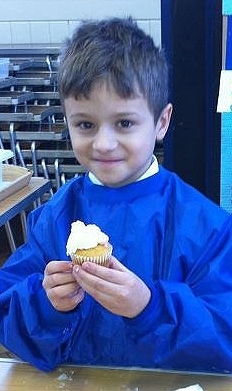 Class 1 thoroughly enjoyed decorating their cupcakes. They learnt some trade secrets and were taught lots of effective decorating skills. They produced some very professional cupcakes using a number of decorating techniques. The problem was they looked too good to eat! A big thank you to Vicky Yasar and Siaron Moore.